Century 21 Real Estate LLC (century21.com) is the franchisor of the world’s largest residential real estate sales organization, providing comprehensive training, management, administrative and marketing support for the CENTURY 21 System. The System is comprised of more than 7,700 independently owned and operated franchised broker offices and 117,000 sales associates in 68 countries and territories worldwide. Century 21 Real Estate LLC is a subsidiary of Realogy Corporation, a global provider of real estate and relocation services. 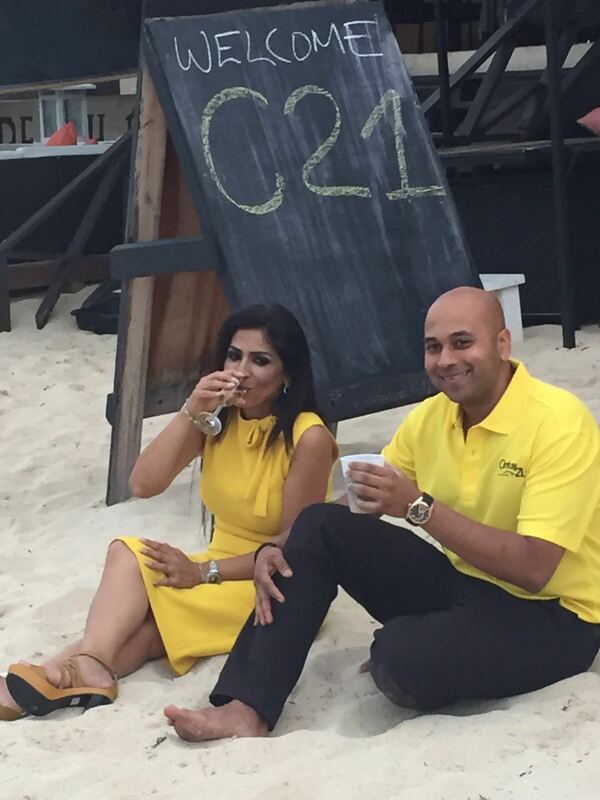 Century 21 St. Maarten has recently moved into a new office space on Airport Road, Simpson Bay, in St. Maarten, Dutch Caribbean. The open floor plan is a visible storefront on the main road of St. Maarten’s second town. The office features modern furnishing with hints of Caribbean flare to bring together the better elements of the island’s unique character. The agents are better situated thanks to the better layout and work floor plan. The office gives clients the impression of personalized and professional service by every single agent with the support of the entire team. The ground floor office is easily accessible with parking (a high commodity on the island) available directly in front of the building. 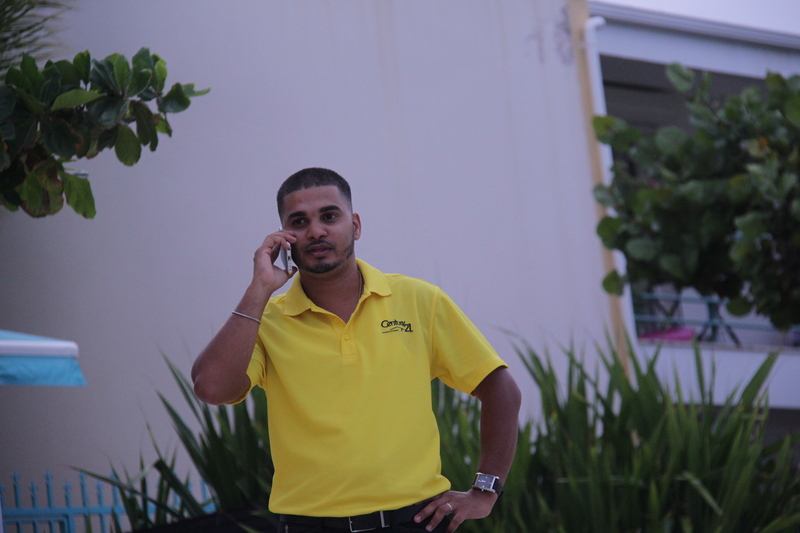 Compared to the former location where the Century 21 St. Maarten office was in a premier spot on Simpson Bay Lagoon, but part of a large office complex, the new location abuts the lagoon and the main road. The office space was carefully selected to maximum visibility for the brand and accessibility for clients from the Dutch side and especially the French side via the new Simpson Bay Causeway. Attention to detail and client’s needs are the hallmarks of Ritika Nanwani, Century 21 Island Realty’s Head Broker. With 12 years of experience in residential real estate, new property marketing and sales, Ritika is closely involved with every new development project and engaged throughout the entire process from pre-development to sales. She excels at selecting a team with the necessary expertise and experience to promote and close the sale on each project. 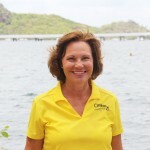 She manages Century 21’s three offices in St. Maarten, Saba and St Eustatius along with her portfolio of properties spanning from exclusive villas, vacation rentals, commercial building and the very scarce commodity land. 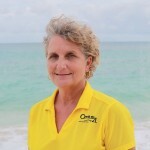 Her friendly and approachable personality makes her one of St. Maarten’s top brokers whose reputation is firm and sustained through many referred clients. Favorite Quote: Work hard. Have fun. Make history. I was born and raised on the prairies in Canada and I am proud to be a Canadian. I married my best friend in 1981 who is also my partner in real estate. We have two wonderful boys. Since building our first home in 1981, we have built, subcontracted, renovated and sold over 21 personal properties. Tired of long cold winters, a love for sailing and the ocean is what brought us to amazing Sint Maarten to work, live and play. My passion for homes started years back when I was a little girl. I had asked my brother to build me a Barbie mansion. I spent weeks decorating each room with wallpaper and pictures from old magazines down to the finest detail. Today, that is no different. I have that same motivation to get out there and find that “diamond in the rough” as I call it, or perhaps the sparkling beauty of brand new. This all excites me and gives me my drive. Let my experience, passion and positive energy help you find or sell your “diamond”. Before moving from the Boston area, I was in the banking industry and was also a high school hockey coach. 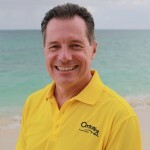 Since my arrival on St Maarten in 1994, I have been involved with property sales, marketing and management. 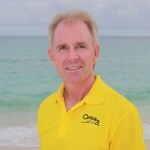 As an agent for Century 21 Island Realty, my specialty has been vacation property sales, as well as the management and marketing of many of these properties after the sale. Almost all of my clients have been from the US and have trusted me to find a property that meets their investment needs and objectives. Many clients desire to market their property as a vacation rental, as well as use it for personal use during the year. Experienced in many aspects of this type of ownership including website marketing of vacation properties, and have a proven track record of smooth and seamless purchase & sales for both the buyer and the seller. With a passion for music, I has been performing solo and as lead vocalist for my band for many years on St Maarten. Other interests include travel, scuba diving and ice hockey. Integrity, commitment and fun! My wife Linda and I have made this our value statement and promise to you. Trust and respect is earned, and we will do everything possible to earn it. I started my real-estate career in 1979 in Kelowna, Canada. My passion for real-estate has never faded as I moved into the restaurant business and then sales and management at Hershey Chocolates, a beauty supply company and Core-Mark International Distributors. At all times, we continued to buy, build, renovate and sell real-estate. 1. Ask your customers the right questions. 2. Listen to your customer… really listen. 3. Verify what you assume your customer’s needs and wants are, and then do everything possible to deliver. I love what I do. There is no bigger thrill for me than creating a win-win situation for buyer and seller. I have partnered with my wife, Linda who has been just as passionate about real-estate since 1981 when we formed our first real-estate investment company. 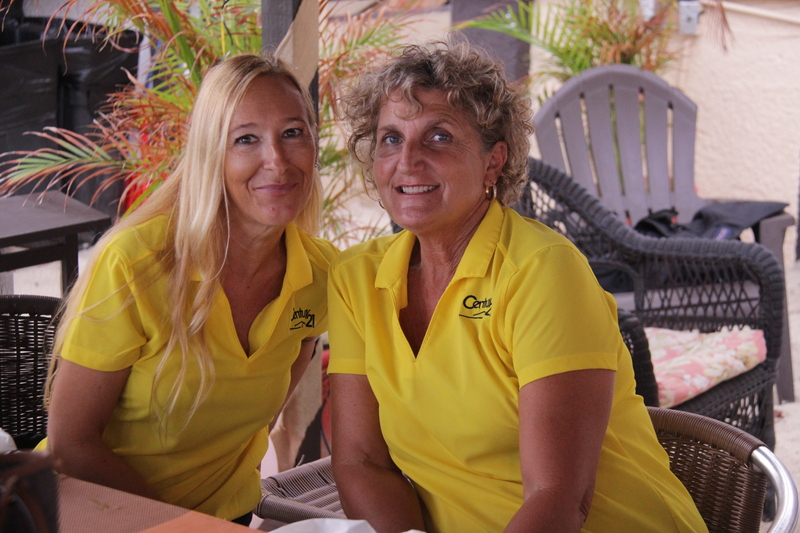 Together we bring a fresh new attitude and energy to island living. 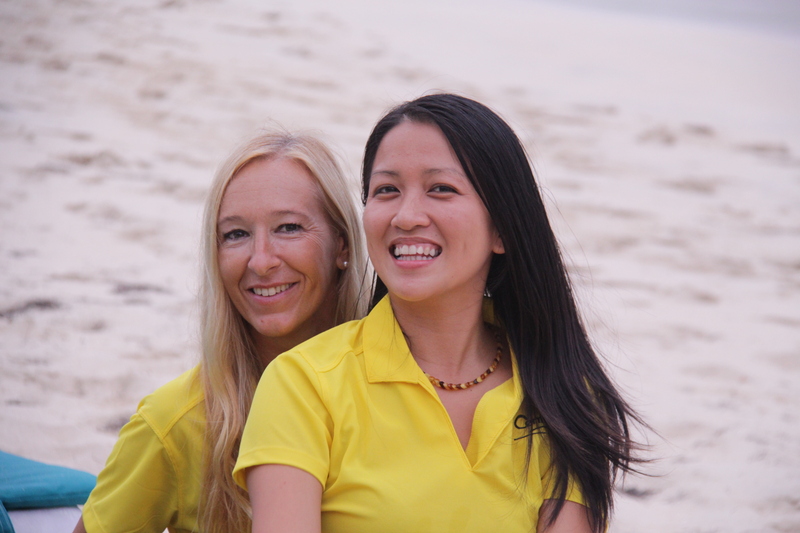 We are ex-pats and love to help others make their island dreams come true. Languages: Canadian, Italian and working on French. Hobbies: I have self published 3 Fiction books and love to sail. Life’s biggest success: Marrying Linda, having two amazing boys and moving to Sint Maarten. I have worked in a variety of careers throughout my life. I began in real estate in the 1970’s in Canada before cell phones were the internet became a way of life. Since then I have also worked in the hospitality industry. In fact, I owned a small beach bar here in Sint Maarten for 12 years and have many stories about the people I met and the experiences I had as you can imagine. I have come full circle and I am right back where I want to be as a Rental Agent here at Century 21.
my love of Sint Maarten. I strive to epitomize, integrity, energy and creativity in every detail of each real estate transaction. 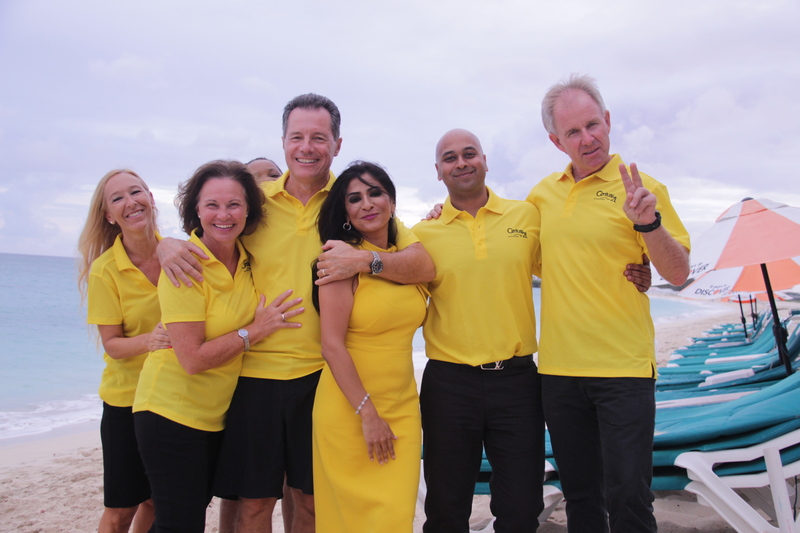 I am an enthusiastic member of the community and I am eager to show clients the best that Sint Maarten has to offer. I will ensure my clients are happy and satisfied. Matching up the perfect tenant to the perfect rental accommodation is my number one goal.